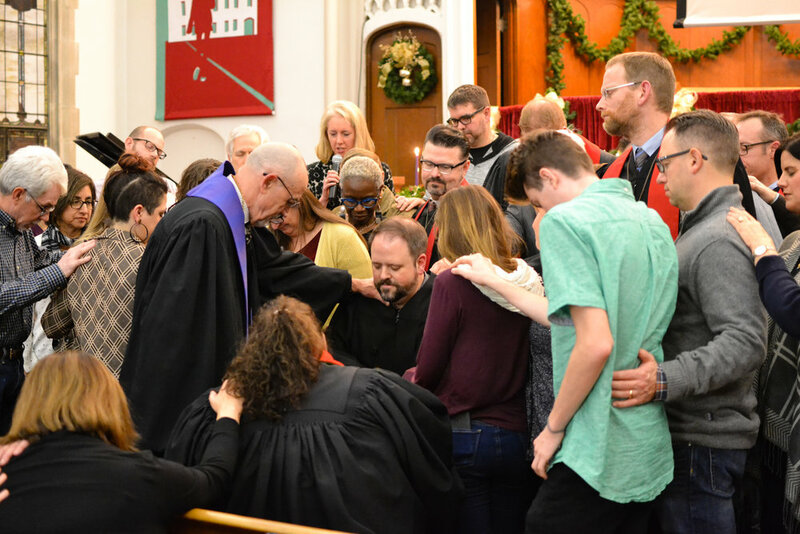 On Sunday, December 10th, Trinity gathered with the Olympia Presbytery to host the ordination and installation of our new Associate Pastor for Community Engagement, Rev. Rod Nash. Rod has faithfully served for the last ten years as Trinity's Director of Outreach. 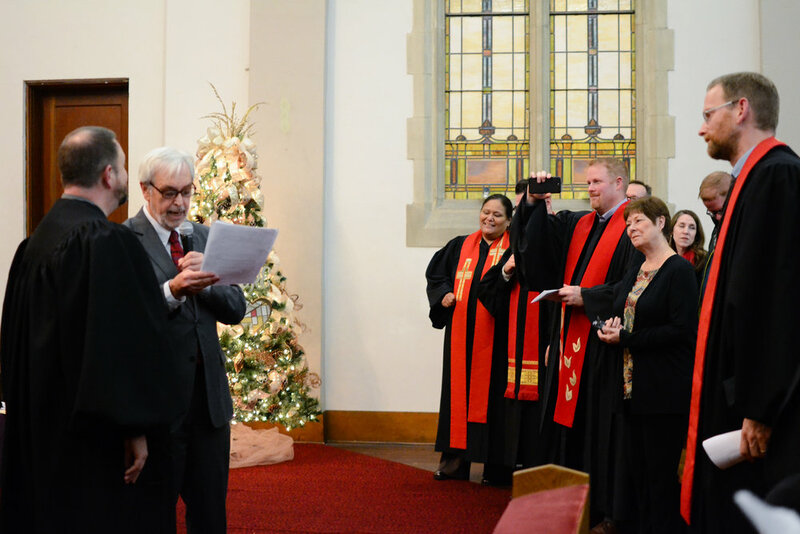 After completing his Masters of Divinity from Dubuque Seminary and the preparation for ministry process, the Trinity congregation recently called him as Associate Pastor. 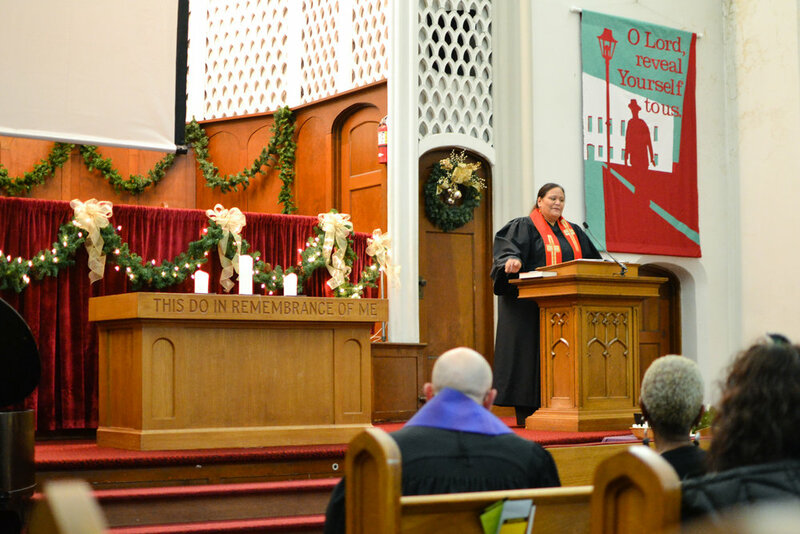 Pastors and elders from across the Presbytery, family members, and people from throughout the Trinity community attended the worship service, where we heard a thoughtful message from Pastor Lina Thompson of Lake Burien Presbyterian Church. Afterwards, we gathered for food and celebration of this significant milestone in Rod's life, and in the story of the Trinity congregation. 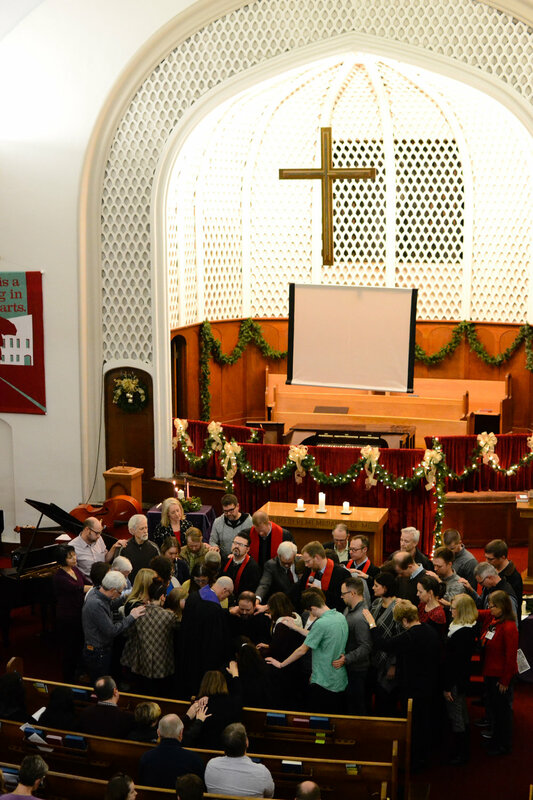 Thank you to the many volunteers and clergy who helped host this joyous evening, and a special thanks to Mark Hillis, Kelly Christel, Joel Zystra, and Edwina Dorsey who served as the Pastor Nominating Committee throughout this process.